There are two things in every woman's future-a new pair of shoes and a luscious chocolate layer cake! 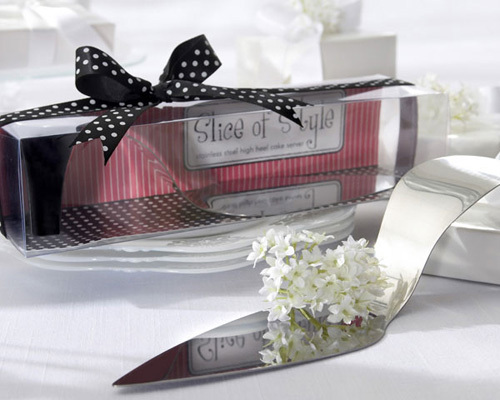 No bridal shower favour or girls' night out gift tells it like it is more than the "Slice of Style" Stainless-Steel High Heel Cake Server. This fashionable favour is practical, and the packaging is priceless! The handle of the cake server sits atop a faux "heel"